The mood around the Ireland U-20s' team hotel is the same as it was before a ball was kicked in this Six Nations campaign. That there is a Grand Slam at stake against Wales on Friday is in no way being ignored but rather embraced and that kind of attitude is reflected in the demeanour of the players and coaching staff, who are utterly focused on the task ahead. If they are to complete the job, it will have to be done without captain David Hawkshaw who underwent knee surgery and has also been ruled out of the World Cup. Half-backs Harry Byrne (hip) and Craig Casey (knee) will be given every chance to prove their fitness. Grand Slams are precious commodities in Irish rugby and that this team stand on the precipice of etching themselves among some good teams is a phenomenal achievement. Throughout the tournament we have been told about how tight-knit this group are and that is evident as they stroll through the corridors laughing and joking together. Behind the scenes however, there is a stark realisation that this is a once-in-a-lifetime opportunity, particularly for those who may not go on to represent the senior team. "It's kind of hard to put into words," outside centre Liam Turner admits. "It would mean everything. I think only four Irish teams have been able to do it, so it would be incredible." Last year, Stuart Lancaster took a training session and recently spent time in camp offering his insight into the video analysis side of things. "After the Italy game it (Grand Slam) became a real possibility," Turner explains. "Stuart Lancaster came into us after that and made the point that we shouldn't hide away from it after three good performances and that we should make it a serious goal. "From the way we played we could see that we could definitely do it and it was just about having that confidence going into the last two matches, that we could go and win." Lancaster approached the session as if he was an opposition coach and spoke about how he would go about attacking and defending against Noel McNamara's youngsters. It proved to be an invaluable experience for the coaches and players. Turner has been one of Ireland's stand-out players throughout the Six Nations as his work at outside centre has really caught the eye. 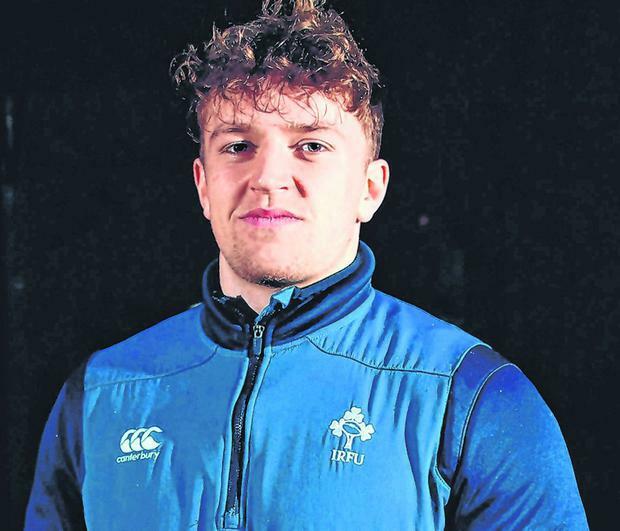 Coming from Blackrock College, that number 13 jersey may weigh heavy for some, but Turner has embraced the challenge much like he and his team-mates are approaching the Grand Slam decider. "They were big role models for me coming through school. Brian O'Driscoll (was playing for Ireland) while I was still at school. I look to them to see how they play the game and learn from them. "I actually played with Garry Ringrose's brother (Jack) in fourth year, we were both in the senior squad and Garry was on the SCT team." The Six Nations title has been secured but that will not satisfy this group of motivated players. "It would be bitterly disappointing because we have such an opportunity to do something that not a lot of teams have done," Turner adds. "That's the mindset of this team, we're not satisfied. We're obviously in a good place but we want to go on and win again this Friday."